When folks think of skiing destinations, Minnesota probably doesn’t come to mind. However, thanks to some fortunate accidents of geography, the North Star state is blessed with several great spots for schussers to get their downhill fix. And remember: Shorter runs mean more runs. Lutsen is, by far, the biggest ski resort in Minnesota and one of the Midwest’s largest, as well. Its location across four mountains in the Sawtooth range also means that skiers enjoy more vertical feet of slopes than anwhere else in the state, along with sweeping vistas of Lake Superior. Lutsen boasts 95 lift-serviced (including a gondola) runs, with as much as 900 feet of vertical rise. Several lodging options, dining, equipment rental and lessons are available on premises. Located in the heart of Minnesota’s Iron Range, Giants Ridge is a family-friendly resort that offers a handful of terrain parks, as well as tubing, to complement its 35 runs. Rentals, lessons and Superior National Forest views are available to skiers and snowboarders of all ages. Afton Alps is a Vail Resorts-owned winter recreation area. Located on the eastern edge of the Twin Cities metro, Afton is the largest of the St. Croix Valley’s ski areas. Four terrain parks and nearly 50 trails are spread out across 300 acres. Eighteen lifts service the runs. Night skiing, race training, lessons and rentals are available for all. Wild Mountain is located on the shores of the St. Croix River just an hour north of the Twin Cities. The mountain features 26 trails spread across 100 acres of space. Like any excellent ski area, Wild Mountain accommodates skiiers from varying levels of experience. Buck Hill, located in Burnsville, is one of the Twin Cities’ most accessible ski areas. Renowned as an incubator for dozens of U.S. Ski Team members, like Lindsey Vonn, Buck Hill has produced five Olympians. Erich Sailer, the coach of its ski racing team, was inducted into the U.S. National Ski Hall of Fame in 2006. Buck Hill’s 15 runs are tucked compactly onto just over 300 vertical feet, accessed by 11 lifts. A terrain park, a half-pipe, and an airbag jump will keep adrenaline junkies content. Lighted night skiing, tubing, lessons, rentals, and a restaurant are also available at Buck Hill. Spirit Mountain is perched on 700 vertical feet with sweeping views of Lake Superior, the city of Duluth—which affords a gorgeous vista to nigh skiers—and its harbor. Three terrain parks (including the Midwest’s largest) 22 runs, and lift-accessible fat tire biking make Spirit Mountain a 200-acre destination for adventure. A chalet, on-site lodging and an Adventure Park with snow tubing offer something for the entire family. Ski, snowboard and mountain biking lessons, along with rentals for all ages, are available at the resort. A good option for skiers from both the Twin Cities and Rochester, Welch Village’s 60 runs are tucked onto 140 acres of the Cannon River valley, between Hastings and Red Wing. Its trails have 100 percent snowmaking coverage, lights for night skiing. Nine chair lifts service Welch Village’s 360 feet of vertical rise. Two chalets, two terrain parks, lessons and rentals round out the resort’s amenities. Part of the Three Rivers Parks District’s Hyland Lake Park Reserve, Hyland Hills offers the best skiing in the inner metro. Twin Cities residents flock to Hyland’s easy Bloomington location for a couple quick runs or a day of downhill fun. What Hyland lacks in run length, it makes up for with excellent snow grooming and some challenging terrain, particularly for snowboarders. The slopes are lighted for night skiing, and onsite equipment rental and repair are available, as well. Although it’s one of the state’s smaller ski areas, Coffee Mill does not lack for excitement. 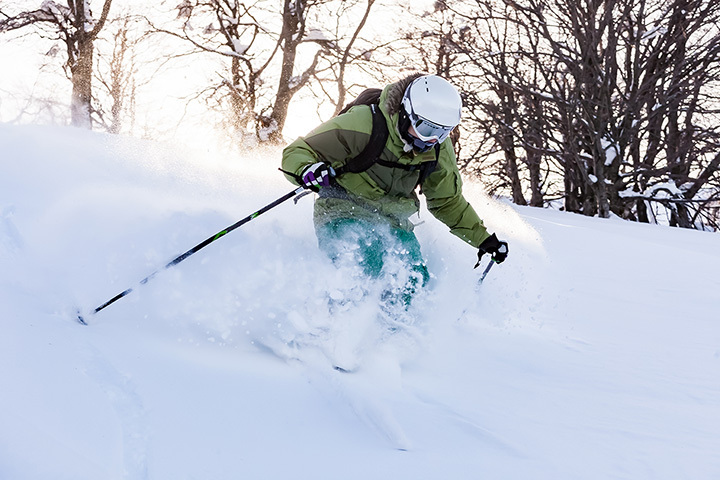 Its 10 runs are nestled onto 28 acres in the bowl of a coulee, which provides 425 vertical feet for skiers to enjoy. Three lifts service the ski area. Race training, snow tubing and lessons are also available at Coffee Mill. Mount Kato is the largest ski area in south-central Minnesota. Mount Kato’s 19 trails are serviced by 100 percent snowmaking and eight chair lifts. Four terrain parks and snow tubing ensure that everyone will find something fun to do. A two-level chalet with food service and a bar also houses a full-service rental shop, as well as a snow-sport school. View more Minnesota Ice Skating Rinks.